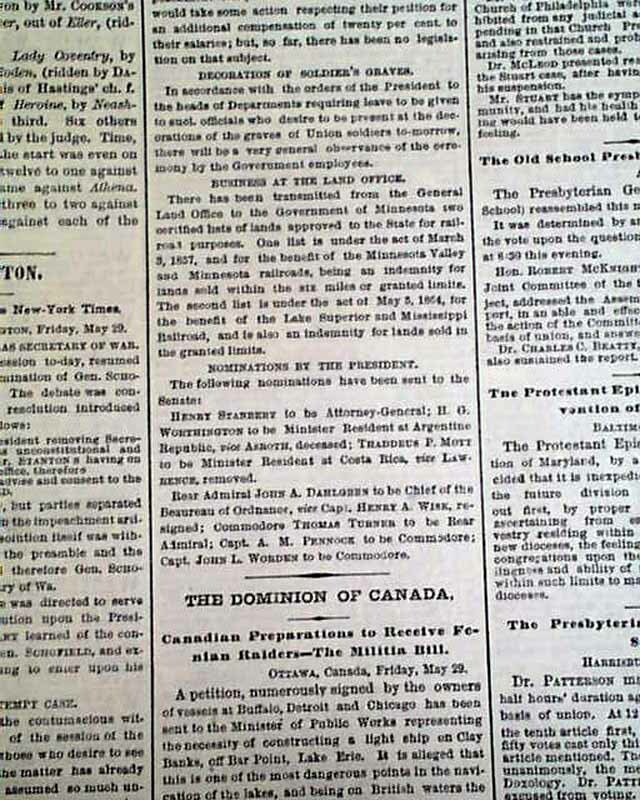 History tell us that the very first official Memorial Day was in 1868. 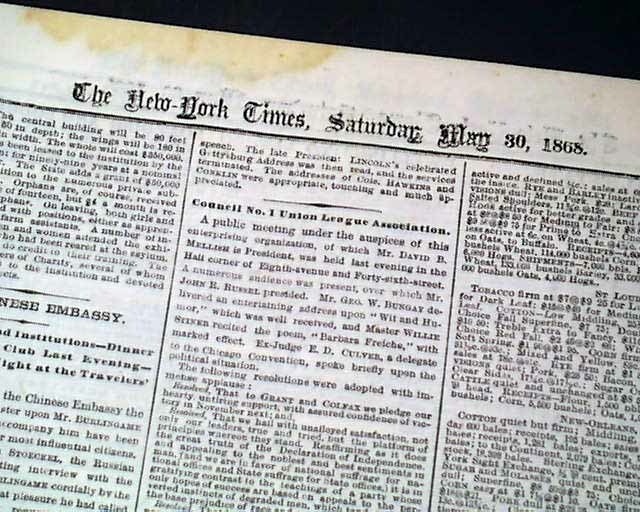 In that year General John A. Logan established Decoration Day as a time for the nation to decorate the graves of the Union war dead with flowers. By the 20th century, various Union and Confederate memorial traditions, celebrated on different days, merged, and Memorial Day eventually extended to honor all Americans who died while in the military service. 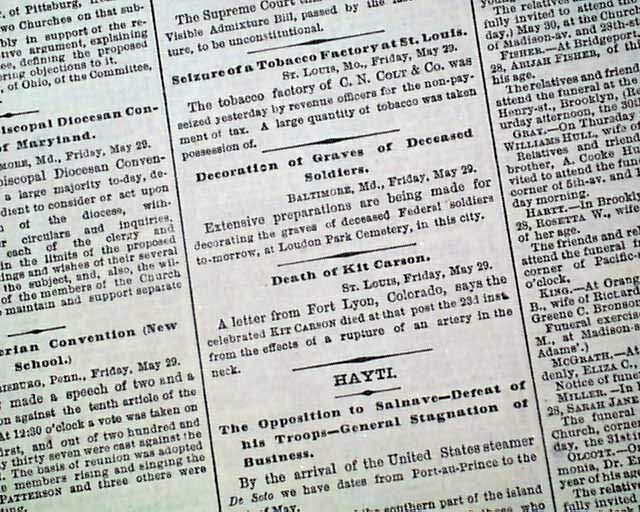 This issue reports that very first Memorial Day celebration in the pages 5 and 8 with an article headed: "Decoration of Soldier's Graves" "Decoration of Graves of Deceased Soldiers" and "Grand Army of the Republic". 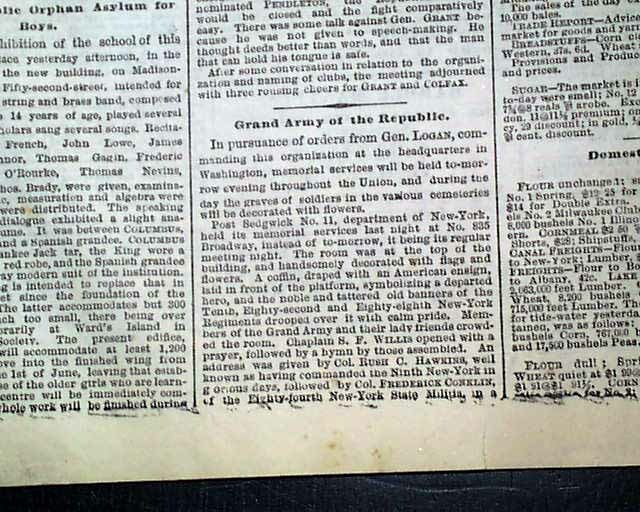 The latter report begins: "In pursuance of orders from Gen. Logan, commanding this organization at the headquarters in Washington, memorial services will be held to-morrow evening throughout the Union & during the day the graves of soldiers in the various cemeteries will be decorated with flowers....". 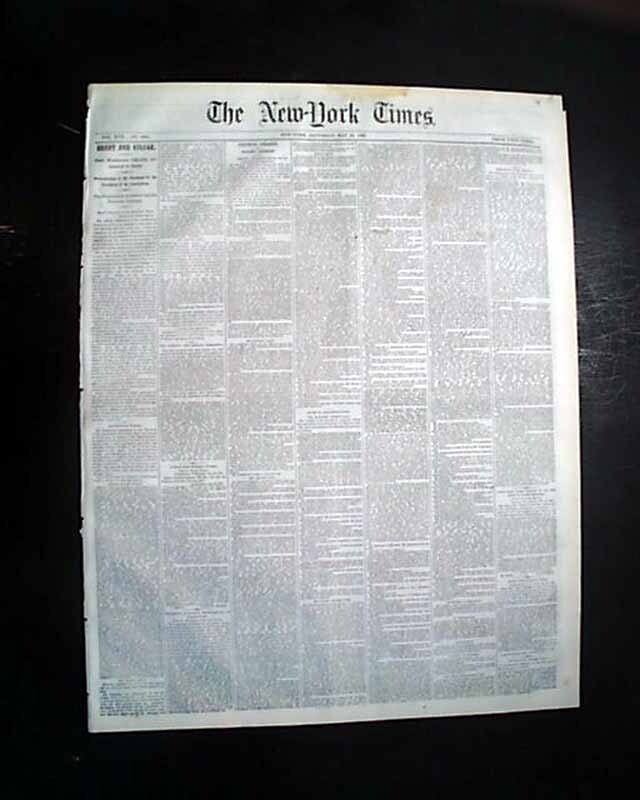 Also of interest is a brief page 5 article: "Death of Kit Carson" noting: "A letter from Fort Lyon, Colorado, says the celebrated Kit Carson died at that post the 23 inst. from the effects of a rupture of an artery in the neck."